Simply Sofas are happy to stock the fantastic Brand New - Sandy Corner Sofa - Faux Leather - Right Hand Side. With so many available today, it is good to have a brand you can trust. The Brand New - Sandy Corner Sofa - Faux Leather - Right Hand Side is certainly that and will be a perfect buy. 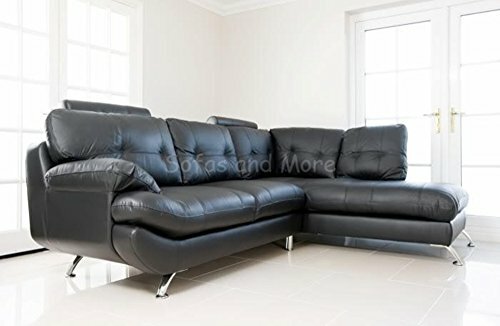 For this reduced price, the Brand New - Sandy Corner Sofa - Faux Leather - Right Hand Side comes highly recommended and is a regular choice amongst most people. ROBERTO have included some nice touches and this means good value for money. Ultra Stylish Very Comfortable Corner Sofa Suite. Length: 264cm From Armrest To Corner. Depth: 91cm Total Depth.